Excel Password Recovery is a handy utility to recover lost passwords for protected Excel spreadsheet files (*.xls, *.xlsx) created in Microsoft Office Excel 2016, 2013, 2010, 2007, 2003, XP, 2000 and 97. Crack lost or forgotten Excel passwords using Brute-force attack, Mask attack or Dictionary attack. Unlock password-encrypted Microsoft Excel documents quickly as possible. Unlock password-protected Excel spreadsheet files (*.xls, *.xlsx). Recover forgotten passwords for MS Office Excel 97-2016 files. Support Excel spreadsheets created in Microsoft Excel 2016/2013/2010/2007/2003/XP/2000/97. Instantly remove worksheet password and workbook password. Screenshot 1: Recover forgotten MS Excel password and unprotect Excel spreadsheet file. You have a password on excel and I don't even remember setting it but its asking for it. Forgot password for excel sheet (office 2003)(XLS), you need the data in it urgently. You have forgotten your Excel workbook or sheet password. You put a password on an excel document. A while back and now you can't remember what the password is. "I locked my excel files some months ago, recently I need to use it. But I have forgot password. I tried many software but no one could work for it. Document is fully protected not even read only can be sown. Finally, I have managed to open my excel file using your excellent software. I will recommend your software to my friends." "Excellent password cracking tool! I have lost my excel password, and your product is really doing excellent job and restore the original excel password. Now I have full access on my excel file." 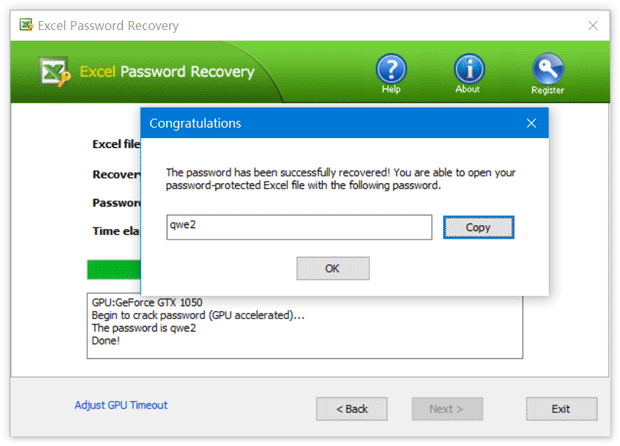 "Absolutely awesome tool for recovering lost excel password! I got my excel 2007 password which are protected by one of our staff. Thanks a million! " 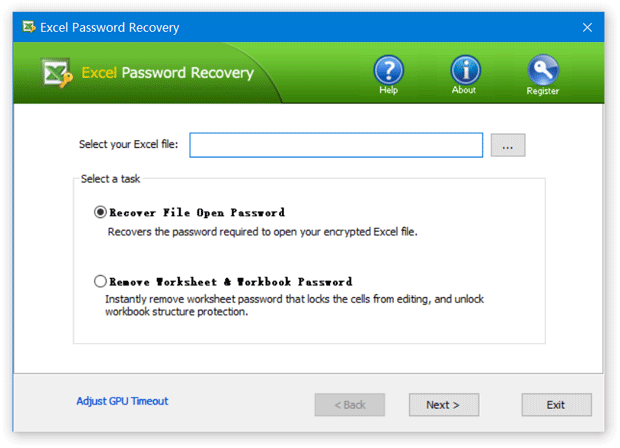 Learn How can you recover forgotten Excel password easily with Excel Password Recovery program.